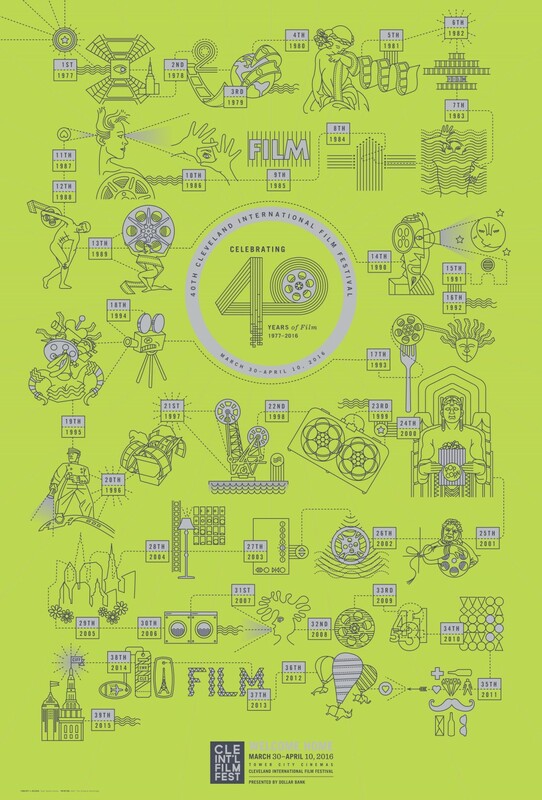 The Cleveland International Film Festival celebrates its 40th anniversary this year. The festivities kick off March 30 with a gala presentation of Good Ol’ Boy, directed by Frank Lotito and starring Jason Lee (My Name is Earl), and they’ll close on April 10 with Hunt for the Wilderpeople from New Zealand director Taika Waititi. In between, the 12-day festival is packed with 193 features and 213 shorts from 72 countries. And while all good film festivals bring you the world, most keep you running between theaters and screening rooms scattered all over town. Cleveland’s fest has the good fortune of showing all their films at the centrally located Tower City Cinemas multiplex (at least for one more year—the recent sale of Tower City Cinemas has cast some doubt on the venue’s future as home of the CIFF). The eclectic slate of films features a wide range of offerings, including: the lighter side of Israeli/Iranian relations in Atomic Felafel; a portrait of ten-pin bad boy Pete Weber in The Bad Boy of Bowling; couple intimacy training gone wrong in Cuddle Party, produced by Transparent’s Jill Soloway; and Eva Nova, about an ageing Slovakian starlet from acclaimed documentary director Marko Skop. You can also check out The Fits, director Anna Rose Holmer’s debut feature about a West End dance team that was filmed in Cincinnati. For its 40th Anniversary Signature Event, CIFF presents the world premiere of Believeland, directed by Andy Billman. Part of ESPN’s “30 for 30” documentary series, the film explores whatever it is that buoys Cleveland sports fans in the face of bad play, bad luck, and bad timing by their beloved teams. Not that we know anything about that here. Information and ticket sales at clevelandfilm.org.